TORONTO, July 31: Smells good! 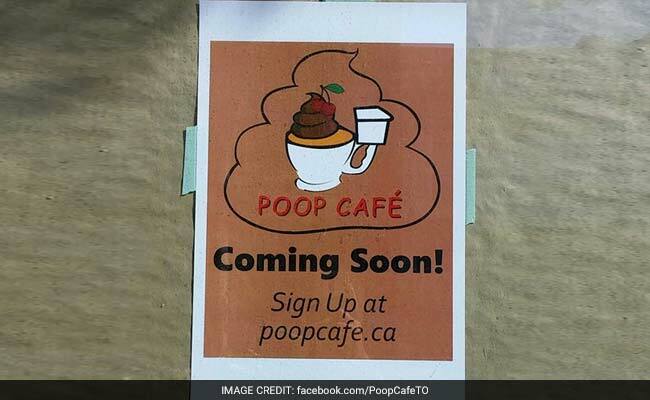 A novel poop-themed dessert cafe is set to open in Canada that will offer an all-brown menu in the shape of human stools. Poop Cafe Dessert Bar is set to open in Koreatown in Toronto mid-August. "I'm trying to make poop cute," owner Lien Nguyen, who first came across the concept while visiting her mother in Taiwan a couple years ago, told The Toronto Star. "We checked out a toilet-themed restaurant and I just loved it. It's funny to put food and poop together; it's a great comparison," Ms Nguyen said. "It stayed in my mind for a long time. As soon as I finished school, I said, 'OK, I'm going to bring the restaurant to Toronto," she said. The recent George Brown College graduate has earned her credentials in culinary management. She plans to focus her menu around traditional Asian desserts like patbingsoo (red beans with ice) and is hoping that, through this enterprise, "people will change their minds about poo". "(It's) considered very disgusting, (something) you can't talk about when you're eating," she said. All of the 'poo-ticular' items available at the cafe will be brown, formed like a stool and served in toilet-shaped dishes, said Ms Nguyen, who plans to seasonally change up the menu to reflect customer feedback.